ASTRONOMERS HAVE SOLVED the mystery of peculiar signals coming from a nearby star, a story that sparked intense public speculation this week that perhaps, finally, alien life had been found. It hasn’t. The signal, which has been formally named “Weird!” was interference from a distant satellite. Of course, astronomers said all along that aliens were quite far at the bottom of the list of possibilities for the signals detected from Ross 128, a dim star known as a red dwarf some 11 light-years away. To experts, the true mystery was that they couldn’t figure out if the bursts were unusual stellar activity, emissions from other background objects, or interference from satellite communications. “However, many people were more interested in the signals as potential proof of transmissions from an extraterrestrial intelligent civilisation,” wrote Abel Mendez, director of the Planetary Habitability Laboratory at the University of Puerto Rico at Arecibo in a blog post on Friday, revealing the true nature of the signals. After further fueling speculation by summoning the world experts in the hunt for life elsewhere in the universe, the team issued its conclusion. “We are now confident about the source of the Weird! Signal,” Mendez wrote. The signals only appeared around Ross 128 because it is located “close to the celestial equator where many geostationary satellites are placed,” Mendez added. He also released the results of an informal survey that he had posted on his website, asking people to weigh in on what they thought the source of the signals was, and whether or not they were scientists well-versed in the matter. “Nearly 800 people participated in this informal survey (including more than 60 astronomers),” he wrote. The whole group’s consensus was that the signals were most likely coming from some story of stellar activity, or some kind of astronomical phenomenon. 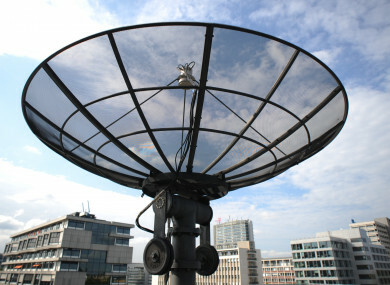 Most people discounted the possibility of radio interference or instrumental failures, saying these were least likely. This, Mendez explained, was hardly a scientific approach to the question. “This is interesting since in the absence of solid information about the signal, most astronomers would think that these were probably the most likely explanation,” Mendez wrote. Furthermore, about one quarter of respondents said “the most likely explanation of the signal was that of a communication with an Extraterrestrial Intelligence (ETI),” he added. Still, all was not lost in these last few weeks of speculation and tumult. “The Planetary Habitability Laboratory of the University of Puerto Rico at Arecibo made many new friends from this experience,” Mendez said, adding it had been a “great experience of open science”. Email “'Mystery' signal from space is solved and it's not aliens”. Feedback on “'Mystery' signal from space is solved and it's not aliens”.